You know that feeling when you think you’ve got something? You understand a concept more or less. But for some reason, the puzzle pieces aren’t completely fitting together. You can see the picture, but it’s not 100% clear. You can’t put your finger on it, but there’s a disconnect somewhere. I feel like that’s where I am right now with my dancing. I seem to have some kind of mental block. I felt it today during my solo practice and during my lessons this past week. We’ve been working on body alignment, building on what Nick and Viktorija taught in their workshop. Teacher says I’m getting better. I did feel some parts of the waltz were improved. But I didn’t feel confident about my feeling. Something was just not quite connecting. It’s difficult to write about it at any great length, since the feeling isn’t clear enough to describe. Maybe I’m just expecting too much, like expecting myself to completely understand and apply the concepts we’re working on pretty much immediately (I never do that). Maybe it’s one of those things where once I chill out and stop trying so hard to figure out how to push past the block, it will just dissolve away and suddenly everything will click into place. In any case, I’ll keep dancing. I made sure to at least review the steps in all of my routines at practice, even if I wasn’t sure I was keeping my alignment correct through them. And I took notes on what I wanted Teacher’s help on at our next lesson. It’s annoying and frustrating when I feel like I just can’t get something to click. But dance has taught me that I will get it eventually if I keep trying. Then, of course, some other issue will come up and I’ll bang my head against a wall trying to figure that one out. And I will figure it out. Then another issue will come up, etc., etc. Such is the neverending journey toward perfection! What about you? What do you do when you feel like you hit a mental block and you just can’t get things to click? Share in the comments! P.S. – To those who signed up for the Solo Practice Guide, if you didn’t receive the email with the video link today, check your junk/spam/other folders. A follower with a Gmail account said the email went into their Promotions folder. I hope your week is full of dancing! 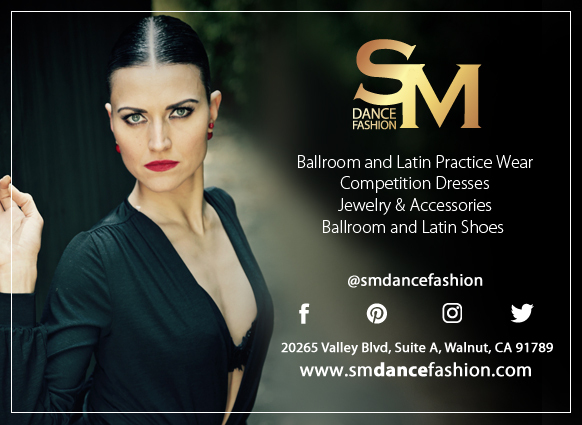 Good luck to everyone dancing at the Hollywood Dancesport Championships!! Usually I hit a block right before a breakthrough–and it is frustrating! To get through it, I usually have to back away from whatever I am trying to get to click for a couple days to let my mind process it on its own.